Tim Mickelson, right, caddying for his brother, Phil, at the W.G.C. event in Mexico on Friday. Tim Mickelson, a former golf coach who now manages one of his former collegiate players, Jon Rahm, is accustomed to operating in his brother’s shadow. But not in quite the way he did Friday. 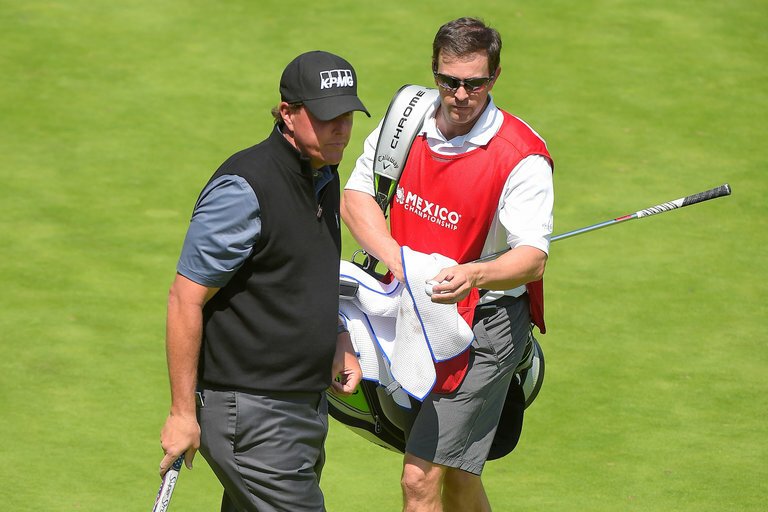 After three holes of Phil Mickelson’s second round at the World Golf Championships event at Club de Golf Chapultepec, he summoned his brother from the gallery to caddie for him after his longtime bagman, Jim Mackay, became too ill with a stomach ailment to continue.